(2015/Vizztone) 10 tracks. 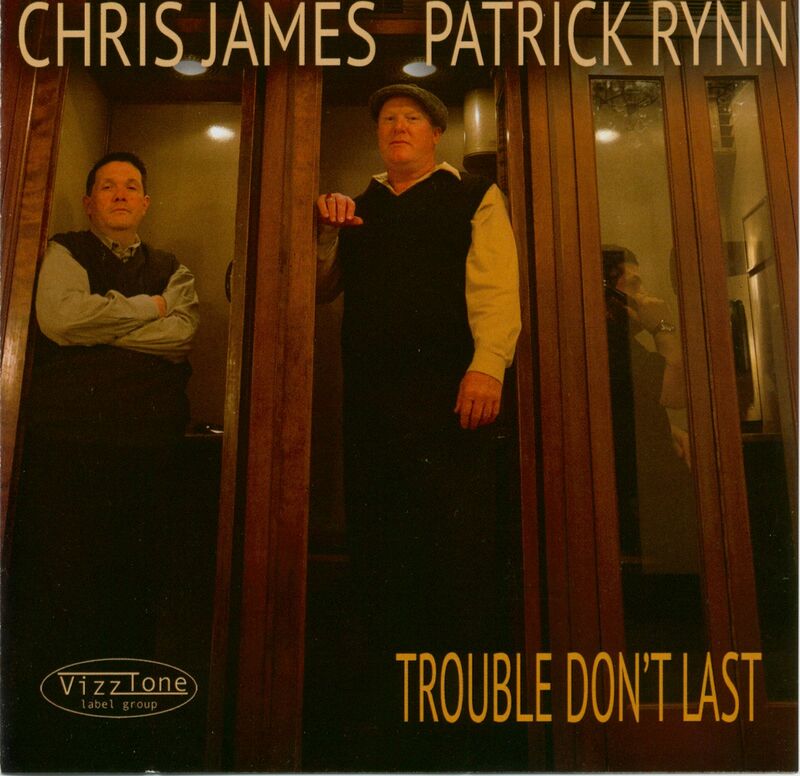 'Blues tradition has been central to the conceptual approach of vocalist/guitarist Chris James and bassist Patrick Rynn ever since they joined forces in Chicago in 1990. They played with the likes of Junior Wells , Detroit Junior, and Dave Myers, and spent five years together in Sam Lay's blues band. 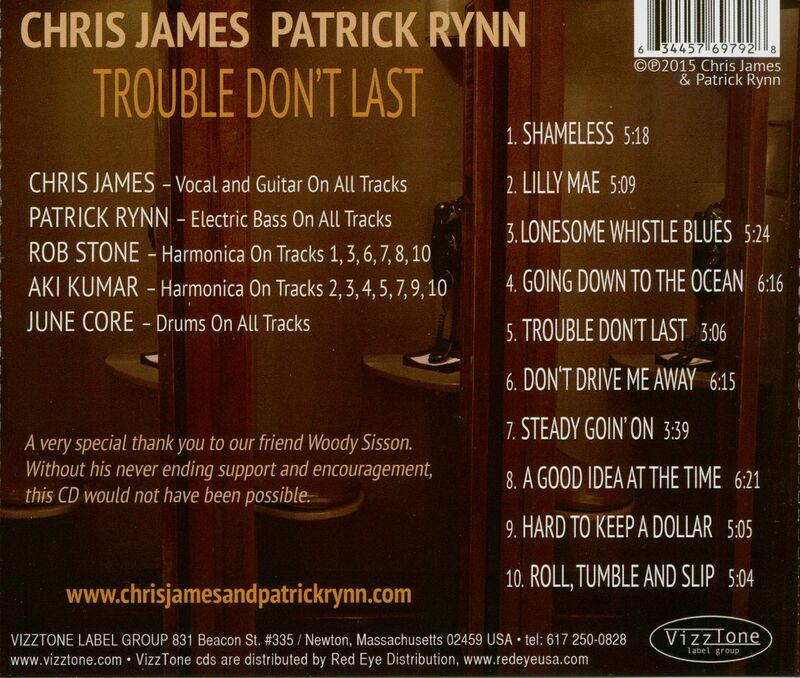 They've backed up a who's who of iconic Chicago Bluesmen and been hailed for their own recordings. But they've never stripped their sound down on disc quite the way they do on Trouble Don't Last. Joined only by rock-solid drummer June Core (who has spent long stretches keeping time with Robert Jr. Lockwood and Charlie Musselwhite) and two of their favorite harmonica aces, longtime collaborator and fellow VizzTone artist Rob Stone and new ally Aki Kumar, Chris and Patrick roar through raw-boned originals and well-chosen remakes, every one of them resounding with real-deal intensity. ' - Bill Dahl (from the liner notes). Feat. Rob Stone - hca, Aki Kumar - hca and June Core - drums. Évaluations de clients pour "Trouble Don't Last"